New York: Mason & Lipscomb Publishers, 1974. Hardcover. Small 4to. 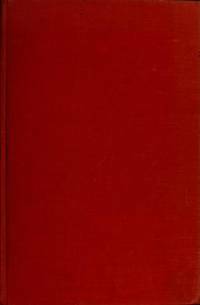 Red cloth with gilt spine lettering, pictorial dust jacket. xii, 246pp. Frontispiece, illustrations, map endpapers. Near fine/very good. Mild jacket edgewear. Tight, nice first edition. New York: G.P. Putnam's Sons, 1926. Hardcover. Small 4to. Green cloth with gilt lettering. xxiv, 375pp. Top edge gilt. Tissue-guarded frontispiece, illustrations, maps, pictorial endpapers.Very good to near fine. Small ownership signature on front flyleaf and several ownership inkstamps and blind-embossed ownership imprints on front/rear preliminary leaves; slightly delicate rear inner hinge archivally strengthened, thus tight. A tight, attractive second printing -- with choice autograph addition: Tipped on the frontispiece verso is a Typed Note Signed from Andrews, 1p, 8½" X 11", New York, NY, 7 February 1940. Addressed to Arnold F. Gates (1914-93, noted Lincoln/Civil War scholar). Very good. On "The American Museum of Natural History" letterhead, the explorer thanks the admirer "for your nice note. I have reached the point where I wish I didn't have any more birthdays. However, I am afraid that can't be helped." Bold full signature in black ink. Andrews (1884-1960) was undeniably one of the models for "Indiana Jones," a Wisconsin-born explorer and naturalist who gained fame through his books chronicling far-ranging expeditions (which also made significant fossil and bone discoveries) such as "Whale Hunting with Gun and Camera" (1916), "Camps and Trails in China" (1918), "Across Mongolian Plains" (1921) and many others; he served as president of the noted Explorers Club (1931-34) and in 1934 was named director of the American Museum of Natural History in New York. London: The Folio Society, 1969. Hardcover. Translation by Ian Scott-Kilvert. Wood engravings by Raymond Hawthorn. Small 4to. Green cloth with gilt lettering and decorations, slipcase. 343pp. Frontispiece, illustrations, map, map endpapers. Very good/very good. Bit of soiling to pp. 8-9, else near fine. A tight, attractive second printing of this publisher's 1967 edition. Birmingham, AL: Gryphon Editions, 1987. Hardcover. 8vo. Full gurgundy calf with gilt lettering and decorations, raised bands. xviii, (3pp), 424pp. All edges gilt. Marbled endpapers, sewn-in red satin page marker. Fine. A pristine and tight copy of this volume in "The Legal Classics Library" series, a facsimile of the 1904 first edition (Edinburgh: T.& T. Clark). Special bookplate on front pastedown notes this as copy #11131. By COOK, J.M., GARDINER, Alan, GURNEY, O.M., and SAGGS, H.W.F. London: The Folio Society, 1999. Hardcover. Complete 4-volume set. Small 4to. Various color cloths (Cook blue, Gardiner burgundy, Gurney brown, Saggs green) with gilt lettering and extensive gilt decorations and pictorial stamping on front boards, slipcase of brown paper over boards with gilt lettering. xxii, 374pp; xxiv, 479pp; xiv, 240pp; xxxvi, 444pp. Illustrations (many color), maps, map endpapers. Near fine/near fine. Bright and lovely, tight and handsome quartette of this title theme, titled individually: Cook, "The Persians" (first published 1983); Gardiner, "The Egyptians: An Introduction" (first published 1961); Gurney, "The Hittites" (first published 1952); Saggs, "The Babylonians: A Survey of the Ancient Civilisation of the Tigris-Euphrates Valley" (first published 1962). New York: G.P. Putnam's Sons, 1893. Hardcover. Small 8vo. Green cloth with burgundy and black lettering and pictorial/decorative stamping. xvi, 355oo, (4pp ads). Frontispiece, illustrations, foldout maps. Very good. Mild edgewear; delicate inner hinges expertly, archivally strengthened, thus tight. Early printing of this 1885 study, a volume in this publisher's lengthy "The Story of the Nations" series. Front pastedown bears interesting bookplate of Chicago oleomargarine manufacturer John F. Jelke Jr. (1888-1965). An attractive volume. New York: Crown Publishers, 1976. Hardcover. Translation by Rachel Kendall Gordon. Small 4to. Yellow cloth spine with copper lettering and black paper over boards, pictorial dust jacket. 314pp. Illustrations, map endpapers. Near fine/very good. Mild jacket edgewear; circular blind-embossed ownership imprint on title page. 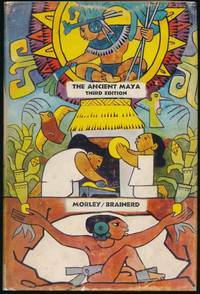 A tight and handsome first edition of this chronicle of Engel's 12 years and 30,000 miles spent excavating and analyzing numerous pre-Columbian cities. Berkeley: University of California Press, 1978. Hardcover. 8vo. Black cloth with gilt spine lettering, pictorial dust jacket. 224pp. Line drawings. Near fine/near fine. Faint abrasion on front flyleaf; circular blind-embossed ownership imprint on title page. Tight, attractive first edition. Cambridge: Harvard University Press, 1975. Hardcover. 4to. Tan cloth. xxiii, 571pp. Numerous illustrations (some color). Very good. Inoffensive abrasion on front flyleaf; small offsetting on pp. 36-37 and pp. 160-161 from long-ago newsprint contact. A tight and nice first edition of this hefty, thorough and well illustrated study. New York: Barnes & Noble Books, 1977. Hardcover. Small 4to. Blue cloth with gilt spine lettering, pictorial dust jacket. xiv, 257pp. Illustrations. Near fine/near fine. Tight, handsome first edition. New York: McGraw-Hill Book Company, 1960. Hardcover. 4to. Tan cloth with gilt spine lettering, pictorial dust jacket. 244pp. Extensive illustrations (some color). Very good/very good. Mild jacket edgewear; small ownership inkstamp on front pastedown. A tight and quite nice later printing of this thick, superbly-illustrated travelogue and city history from the prolific Ango-Indian writer. Stanford: Stanford University Press, 1958. Hardcover. Revised by George W. Brainerd. Small 4to. 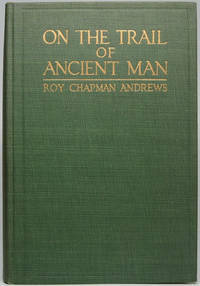 Tan cloth with green lettering pictorial price-clipped dust jacket. x, 507pp. Frontispiece, numerous illustrations, line drawings, floor plans, map endpapers. Near fine/very good. Mild jacket edgewear. Tight and attractive second printing of the revised third edition of this 1946 study -- with a nice association: Inner flyleaf bears a large purple inkstamped presentation stamp: "Obsequiado por el Presidente / YDIGORAS FUENTES / a '[Mr. --] / [Adlai E. Stevenson] / Guatemala,  de [Feb.] 196." (Bracketed portions accomplished in black ink.) Adlai E. Stevenson III (1900-65), Illinois governor and two-time presidential candidate, would become U,.S. ambassador to the U.N. the following year. A great association copy from the Guatemalan president (1895-1982) remembered for his close ties to the U.S.
Chicago: The Nutshell Publishing Co, 1925. Paperback. 16mo. Stiff tan decorative wrappers. 63pp, (1p ad). Numerous line drawings. Very good. Outer wrapper (only) age toned, else internally near fine. Tight, nice first edition of this quickie historical survey in this mini-educational series, touted as "Every Volume a College Education in a Nutshell." Rather charming. New York: William Morrow and Company, 1989. Hardcover. Illustrations by Christ Cart. Small 4to. White cloth spine with gilt lettering and tan paper over boards, pictorial dust jacket. 525pp, (3pp ads). Frontispiece, illustrations. Near fine/near fine. Tight, handsome fourth of this minister-turned-chef's fourth book. Norfolk, CT: The Heritage Press, 1972. Hardcover. Translation by Aubrey de Selincourt. Illustrations by Raffaele Scorzelli. Small 4to. Faux leather spine with gilt lettering and tan cloth, slipcase. xvi, 500pp. Frontispiece, illustrations. Fine/near fine. A tight and handsome reprint edition. London: The Folio Society, 1998. Hardcover. Introduction by Kenneth McLeish. Small 4to. Red cloth with gilt lettering and decoration, slipcase. xxv, 254pp. Color illustrations, 4 maps, map endpapers. Near fine/near fine. Tight, quite attractive second printing of this publisher's edition of a biography first published in 1981. 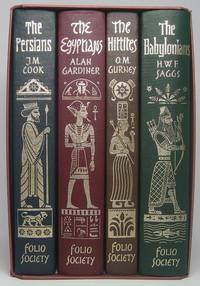 A volume in the Folio Society's 5-volume "Rulers of the Ancient World" series. London: The Folio Society, 1998. Hardcover. Introduction by Kenneth McLeish. Small 4to. Green cloth with cooper lettering and decoration, slipcase. xxvii, 222pp. Color illustrations, 9 maps, map endpapers. Near fine/near fine. Tight, quite attractive second printing of this publisher's edition of a biography first published in 1970. 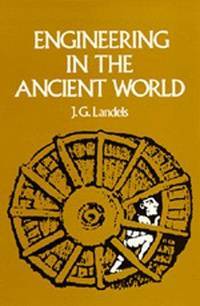 A volume in the Folio Society's 5-volume "Rulers of the Ancient World" series. New York: American Heritage Publishing Co, 1965. Hardcover. 4to. 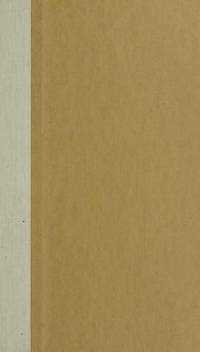 Brown decorated cloth, pictorial dust jacket. 415pp. Extensive illustrations (many color), maps. Very good/good plus. Jacket edgeworn, with several edge chips. 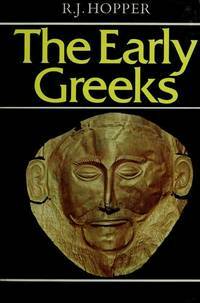 Tight, attractive copy of this hefty history, travelogue and compilation of all things Hellenic. Thius publisher does NOT indicate edition in a consistent, verifiable manner. New York: Alfred A. Knopf, 1954. Hardcover. Translation by E.B. Garside and Sophie Wilkins. 8vo. Blue cloth, pictorial price-clipped dust jacket. xii, 428pp, xvi. Numerous illustrations, maps, line drawings, floor plans. Near fine/very good. Small engraved bookplate on front pastedown. A tight and handsome later (15th) printing of this popular 1951 survey.